Roof fixing and maintenance can be efficiently done only with the sincere efforts of highly professional roof-contractors. Is it easier getting the best roofing-contractor nearby? Well, the answer is no. Many obstacles might come in the way of getting the right roof-contractor. Roofing services should be tackled tactically and thus everybody relies on professionals. Now you must be thinking that how to hire the right roofing contractor, right? To help you with this, we have come up with a few important factors which you need to check while deciding on hiring a roofing contractor. Getting local-referrals: If you ask your friends, relatives or colleagues around then you will definitely get the references of the best roof-contractors. These references can enable you in ending up your search for good and skilled roof-contractor successfully. Receiving extensive warranty: Those contractors who offer only high-quality roof-repair services have got the courage of providing warranties for long years. Consider safety: Efficient contractors should use only safe, portable and durable tools for making the roofs repaired. Considering BBB-rating: Only excellent and trained contractors will get BBB-rating. Only after proper research and verification, this rating is being provided to any roof-contractor. This rating means the professionals are excellent at their work with an outstanding skill level. Contractor’s designation: If the contractor belongs to a senior position, then you can definitely rely on his experience and service level without having any doubt in your mind. This is why knowing the contractor’s designation is very much important. Checking insurance and proper licensing: The contractor should have proper license along with a great insurance coverage. If these two things are present then you can completely rely on the contractor. In fact, contractors having these two things can handle the contracts with great safety. Handling claims: Insurance-claims need to be efficiently managed otherwise you will not be able to get the proper damage-compensation amount. Proficient contracts should have the capacity of handling the claims of their customers. Knowing material-choices: Material choices or options of the contractors need to be considered for deciding the right professional. No contract-signing pressurization: A good contractor will not force the customers to sign the roof-repair contract before preparing a damage estimation by the insurers. Home needs to be examined well first and then only the contract should be signed. Cleveland contractors always allow the clients signing the contract on their respective flexible terms. If you consider these factors, then only you will be able to find the best roof-contractor of your place. 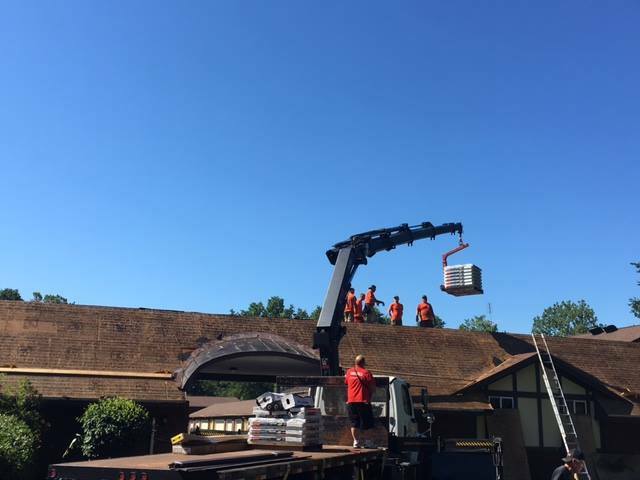 We, in Ohio, as the best roofing contractor service provider, have now raised the standard of the concerned industry by offering top-graded roof repair and maintenance services. Call us today to book an appointment with us.